The Australian Human Rights Commission welcomes the opportunity to submit comments on the cross-curriculum priorities. As stated in our previous submissions, we appreciate the consultative approach taken by ACARA to the development of the national school curriculum. As outlined in our recent correspondence to ACARA on the Shape of the Australian Curriculum v2.0 and general capabilities (dated 5 August 2011), the Commission believes that the development of a national school curriculum is a unique opportunity to ensure all young people in Australia develop an understanding and appreciation for their human rights and the rights of others. The three cross-curriculum priorities include many elements supporting a focus on human rights education. For example, the Aboriginal and Torres Strait Islander Histories and Cultures, and Asia and Australia’s Engagement with Asia priorities provide an opportunity to foster cross-cultural understanding and respect. The Commission believes, however, that there are many opportunities for enhancing and strengthening the explicit focus on human rights throughout the curriculum. As outlined in our previous correspondence to ACARA, the Commission recommends a specific general capability or cross-curriculum priority focused on human rights and Australian values. However, in the absence of a specific general capability or cross-curriculum priority focused on human rights, at a very minimum, the Commission believes that a focus on human rights and Australian values needs to be integrated into existing general capabilities, cross-curriculum priorities and across all learning areas. Following are some comments and feedback in relation to the cross-curriculum priorities. Additionally, at Annex 1, we have provided some specific suggestions in track changes format to assist in clearly illustrating our suggestions. The inclusion of a cross-curriculum priority focused on Aboriginal and Torres Strait Islander Histories and Cultures reflects the critical importance of ensuring all young people in Australia understand, appreciate and respect Aboriginal and Torres Strait Islander Peoples, histories and cultures. This focus in the national school curriculum is an important step towards addressing persistent discrimination against Aboriginal and Torres Strait Islander Peoples in Australia. This priority is immensely important for building understanding and respect for Aboriginal and Torres Strait Islander Peoples within the non-Indigenous Australian community. It is also vital for Aboriginal and Torres Strait Islander Peoples to have their experiences, histories and culture positively reflected in their school education. Research undertaken with Aboriginal children in Victoria demonstrated the importance of representations of Aboriginal and Torres Strait Islander leaders and heroes to children’s well-being. The Commission therefore encourages ACARA to ensure Aboriginal and Torres Strait Islander leaders and heroes’ contributions to Australia, and the globe, are explicitly included in the curriculum. Furthermore, the Commission suggests that it is critical to explicitly acknowledge in the priority, the historic and contemporary impact of colonisation and discrimination against Aboriginal and Torres Strait Islander Peoples and communities. While positive representations of Aboriginal and Torres Strait Islander histories and cultures are vital, the continuing impact of the process of colonisation on Aboriginal and Torres Strait Islander Peoples must also be acknowledged and understood. This is a critical step towards dispelling racist attitudes and fostering cross-cultural understanding. Additional specific suggestions on the content of the priority are provided in Annex 1. A focus on Asia and Australia’s Engagement with Asia in the curriculum is an important recognition of our geographical location and the significant contribution of Asian peoples and cultures to Australia. However, this priority is heavily focused on the importance of effectively engaging with Asia for Australia’s economic prosperity. The Commission is concerned that this focus masks the intrinsic value of assisting students to appreciate diversity in Australia and the significant contributions that our diverse population, including Australians of Asian descent, have brought to all fields of life in Australia. This priority should also acknowledge the discrimination faced by different groups in Australia, including Australians of Asian descent, and make the building of understanding, appreciation and respect for diversity among young people a central priority in the curriculum. The Commission believes that this will not only better reflect the importance of this priority in the curriculum but will also relate more directly to students experiences. Further, we suggest that ACARA acknowledge the different definitions of which countries constitute ‘Asia’ (including West Asia and Central Asia) and explains that for the purposes of the national curriculum the focus will be on South-East Asia, South Asia and North-East Asia. Some specific language suggestions are included at Annex 1. The Commission welcomes the inclusion of a cross-curriculum priority focused on sustainability. This priority has important linkages to human rights and social justice concerns. The priority, as it is currently framed, appropriately addresses the need for a world view that considers equity and social justice concerns. The Commission recommends acknowledging the political dimension to the issue of sustainability and the interdependence of the political dimension to the environmental, social, cultural and economic considerations. Please see specific suggestions at Annex 1. The Commission is unclear of the meaning of ‘organising idea 3’ and has proposed language to clarify the meaning. Cross curriculum priorities are embedded in all learning areas. They will have a strong but varying presence depending on their relevance to the learning areas. The content descriptions that support the knowledge, understanding and skills of the cross curriculum priorities are tagged with icons. The tagging brings to the attention of teachers the need and opportunity to address the cross-curriculum priorities at this time. Elaborations will provide further advice on how this can be done, or teachers can click on the hyperlink which will provide further links to more detailed information on each priority. A conceptual framework based on Aboriginal and Torres Strait Islander Peoples’ unique sense of Identity has been developed as a structural tool for the embedding of Aboriginal and Torres Strait Islander histories and cultures within the Australian curriculum. 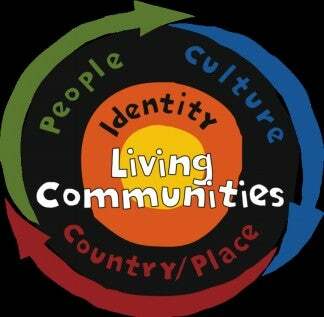 This sense of Identity is approached through the interconnected aspects of Country/Place, People and Culture. Embracing these elements enhances all areas of the curriculum. The Aboriginal and Torres Strait Islander priority provides opportunities for all learners to deepen their knowledge of Australia by engaging with the world’s oldest continuous living cultures. This knowledge and understanding will enrich their ability to participate positively in the ongoing development of Australia and appreciate the contribution of Aboriginal and Torres Strait Islander Peoples and cultures to Australia and the world. They will also learn to appreciate that their cultures have been, and are, a source of resilience for Aboriginal and Torres Strait Islander Peoples against the historic and contemporary impacts of colonisation. Australia has two distinct Indigenous groups, Aboriginal Peoples and Torres Strait Islander Peoples. Within these cultural groups there is significant diversity, including over 500 Aboriginal language groups and multiple Torres Strait Islander language groups. Aboriginal and Torres Strait Islander societies have many Language Groups. Aboriginal and Torres Strait Islander Peoples’ ways of life are uniquely expressed through ways of being, knowing, thinking and doing. Aboriginal and Torres Strait Islander cultures are a source of strength, pride and resilience for Aboriginal and Torres Strait Islander Peoples. The broader Aboriginal and Torres Strait Islander societies encompass a diversity of nations across Australia. Australia acknowledges the significant contributions of Aboriginal and Torres Strait Islander people locally and globally including through their political engagement, entrepreneurial endeavours and cultural knowledge and traditions. The Australian Curriculum: English values Aboriginal and Torres Strait Islander histories and cultures. It articulates relevant aspects of Aboriginal and Torres Strait Islander languages, literatures and literacies. The Australian Curriculum: science values Aboriginal and Torres Strait Islander histories and cultures. It acknowledges that Aboriginal and Torres Strait Islander Peoples have longstanding scientific knowledge traditions. Students will have opportunities to learn that Aboriginal and Torres Strait Islander Peoples have developed knowledge about the world through observation, using all the senses; through prediction and hypothesis; through testing (trial and error); and through making generalisations within specific contexts. These scientific methods have been practised and transmitted from one generation to the next. Students will develop an understanding that Aboriginal and Torres Strait Islander Peoples have particular ways of knowing the world and continue to be innovative in providing significant contributions to development in science. They will investigate examples of Aboriginal and Torres Strait Islander science and the ways traditional knowledge and western scientific knowledge can be complementary. Students will examine historical perspectives from an Aboriginal and Torres Strait Islander viewpoint. They will learn about Aboriginal and Torres Strait Islander Peoples prior to colonisation by the British, the ensuing contact and its impacts. They will examine key policies and political movements over the last two centuries. Students will develop an awareness of the significant roles of Aboriginal and Torres Strait Islander Peoples in Australian society. The Asia and Australia’s engagement with Asia priority recognises that Australia is a multicultural nation, and generations of immigrants from all over the world have contributed to Australia’s rich cultural and social diversity and prosperity. The Asia and Australia’s engagement with Asia priority provides a regional context for learning in all areas of the curriculum. China, India and other Asian nations are growing rapidly and the power and influence they have in all areas of global endeavour is extensive. Immigrants from all these nations have historically contributed to Australia’s development, and will continue to do so in the future. An understanding of Asia underpins the capacity of Australian students to be active and informed citizens working together to build harmonious local, regional and global communities, and build Australia’s social, intellectual and creative capital. This priority is concerned with Asia literacy for all Australian students. Asia literacy develops knowledge, skills and understanding about the histories, geographies, cultures, arts, literatures and languages of the diverse countries of our region. It fosters social inclusion and increased awareness of discrimination in the Australian community. It enables students to communicate and engage with the peoples of Asia so they can effectively live, work and learn in the region and be inclusive of diverse cultures and peoples living in Australia. Australia now has extensive engagement with Asia in areas such as trade, investment, immigration, tourism, education and humanitarian assistance and this engagement is vital to the prosperity of all Australians. The peoples and countries of Asia are diverse in ethnic background, traditions, cultures, belief systems and religions. Interactions between diverse environments and human activity shape the countries of Asia and its region and have influence globally. The achievements of the peoples and countries of Asia have contributed and continue to contribute to world history and human endeavour, and their participation is fundamental to the well being and progress of Australia and the world. The arts and literature of Asia have significant influence on the aesthetic and creative pursuits of people and societies in Australia, the region and globally. For Australians to be good regional and global citizens we need to understand, respect, learn from, and engage and communicate with our Asian neighbours. Australia is located in the Asia region and our histories from ancient times to the present are linked. Australians have played and are playing important roles in major events and developments in the Asia region. Australians of Asian heritage have influenced Australia’s history and continue to influence its dynamic culture and society. Australia is a richly diverse nation, committed to multiculturalism and non-discrimination, which has benefited from and continues to benefit from the diversity of our population including the contribution of Australians of Asian heritage. The Australian Curriculum: English enables students to explore and appreciate the rich tradition of texts from and about the peoples and countries of Asia, including texts written by Asian Australians. They develop an understanding of the many languages used in Australia and how they have influenced Australian culture. In this learning area, students develop communication skills that reflect cultural awareness, intercultural understanding and an understanding of the diversity within cultures. They are encouraged to draw on knowledge of the arts and literature of the Asia region to influence their own creative pursuits and to express themselves through different media and genres. The Australian Curriculum: Mathematics provides opportunities for students to learn about the understandings and applications of mathematics in Asia. In the past, mathematicians from the Asia region have made significant contributions to the development of the human understanding of number, algebra and trigonometry. Mathematicians from Asia continue to contribute to the ongoing development of mathematical understanding. In this learning area, students investigate the concept of chance using Asian games. They explore the way Asian societies apply other mathematical concepts such as patterns and symmetry in art and architecture. Investigations involving data collection and representation can be used to examine issues pertinent to the Asia region. The Australian Curriculum: Science provides opportunities for students to appreciate that the Asia region plays an important leadership role in addressing significant contemporary global challenges related to climate change, biodiversity and genetic engineering. Students recognise that people from the Asia region have made and continue to make significant contributions to the application of technology in industry and everyday life. This learning area allows students to understand that the Asia region includes diverse environments and to appreciate that interaction between human activity and these environments continues to influence the region, including Australia, and has significance for the rest of the world. In the Australian Curriculum: History, students develop an understanding of the diversity of the peoples of Asia and their contributions to the region and the world, and an appreciation of the importance of the region for Australia and the world. Students understand the dynamic nature of socio-political relationships within the region over time, and the role that individuals, governments and other organisations play in shaping relationships between peoples and countries. Students develop an appreciation of the history of Australia-Asia engagement and how this influences contemporary Australian society and relationships with the countries of Asia. They understand the long history of migration to Australia by people from Asia and appreciate the contributions made over time by Asian Australians to the development of Australia’s culture and society. They also understand the ongoing role played by Australia and individual Australians in major events and developments in the Asia region. Education for sustainability develops the knowledge, skills and values necessary for people to act in ways that contribute to more sustainable patterns of living. It is futures-oriented, focusing on protecting environments and creating a more ecologically and socially just world through action that recognises the relevance and interdependence of environmental, social, cultural, political and economic considerations. Sustainability of the environment is closely related to social, cultural, political and economic systems. All people are connected through social systems, and depend on equality and social justice within these social systems for their wellbeing. Communities throughout the world have a common interest in maintaining environments for the future and deserve to be treated equitably. A world view is important to ensure social justice (globally and locally) and the effectiveness of action to improve sustainability. Sustainability action is designed to intervene in ecological, social, political and economic systems in order to develop more sustainable patterns of living. Sustainable futures are shaped by our behaviours and by the products, systems and environments we design today. Products and built systems and environments can be designed and/or managed to improve both people’s wellbeing and environmental sustainability. Social and economic systems can be designed, managed and/or used to improve both people’s wellbeing and environmental sustainability. The Australian Curriculum: English provides students with the skills required to investigate and understand issues of environmental and social sustainability; communicate information about sustainability, and advocate action to improve sustainability. If people now and into the future are to be treated fairly, action to improve sustainability needs to be informed by a world view of peoples, places and communities. Both literature and literacy are key elements in the development of each student’s world view. More sustainable patterns of living are largely shaped by people’s behaviours. English provides an important means of influencing behaviours, facilitating interaction and expressing viewpoints through the creation of texts for a range of purposes, audiences and contexts including multimodal texts and the use of visual language. The Australian Curriculum: Mathematics provides the foundation for the exploration of issues of sustainability. It equips students with the skills of measurement, mathematical modelling, and data collection, representation and analysis. These skills are needed to investigate data, evaluate and communicate findings and to make predictions based on those findings. Mathematical understandings and skills are necessary to monitor and quantify both the impact of human activity on ecosystems and changes to conditions in the biosphere. Actions to improve sustainability involve students in processes such as auditing, reading measures and gauges, and interpreting data on invoices and accounts. Mathematical and statistical analysis enables informed decision making about present and future action. The Australian Curriculum: Science provides content that, over the years of schooling, enables students to build an understanding of the biosphere as a dynamic system providing conditions that sustain life on Earth. They gain an appreciation that all life is connected through ecosystems and humans depend on ecosystems for their wellbeing. This understanding is based on the view that humans are part of the ecosystems that comprise the biosphere, and that human activity impacts on ecosystems and therefore on biosphere processes and biosphere sustainability. Scientific understanding and science inquiry processes help students to appreciate how people forecast change and plan the actions necessary to shape more sustainable futures, including the design, construction and/or management of the physical and social environment. By providing a focus on change in systems, its causes and consequences, the sustainability priority assists students to relate learning across the strands of science. The Australian Curriculum: History provides content that supports the development of students’ world views, particularly in relation to actions that require judgment about past social systems and access to and use of the Earth’s resources. The curriculum provides opportunities for students to develop an historical perspective on sustainability by understanding, for example, the emergence of farming and settled communities, the development of the Industrial Revolution and the growth of population, the overuse of natural resources, the rise of environmental movements and the global energy crisis and innovative technological responses to it. Making decisions about sustainability to help shape a better future requires an understanding of how the past relates to the present, and needs to be informed by historical trends and experiences. Richard Frankland, Muriel Bamblett, Peter Lewis and Robin Trotter, This is ‘Forever Business’: A Framework for Maintaining and Restoring Cultural Safety in Aboriginal Victoria, Victorian Aboriginal Child Care Agency Co-Op. Ltd, p. 110.